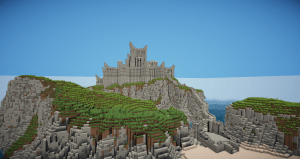 Explore epic fortresses built in Minecraft! There's also Medieval themed maps. 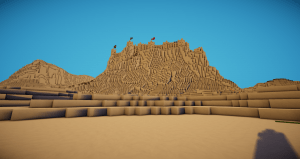 Mateo presents Castle and Gladiator Arena and much more. Cascading structure block method to build ramparts... Each structure has structure blocks that will load the next segment of wall, bartizan (turret), crenellation, tower, or gate. 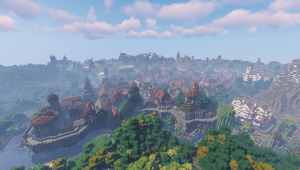 A village with 20 medieval styled buildings and a castle in an epic landscape. Looking for a simple and especially big castle for many possibilities? Then this map is just right for you. Explore more than 100 buildings and life outside the castle at the river or in the restaurant. 9 castles, 1 big medieval city, 7 villages, 1 monastery and a lot of more medieval scenarios. The biggest and most realistic medieval map from Germany. Role playing castle/Chateau full interior and exterior beautiful build by Clubmantic. This a recreation of the castle from Game of thrones season 7. This the fortress of Masada before the Romans attacked the rebels of Judea. Saldur City - Large medieval city I worked on for two years with my college roommate. Enter the abandoned evil fortress of Dol Guldur. this s the closest you can get to the real thing in the Hobbit movies.